Are you taller than Abraham Lincoln? Sticky notes on the wall mark how tall each student was compared to Abraham Lincoln. I am a new follower of your blog and just had to comment and say what great ideas you have! I would LOVE LOVE LOVE to make this! Can you please tell me what template you used? Thanks so much! I pinned this as well, that's how much I love it! Do you have a template for this? This is very cute. I would love the template for this! I am taching measurement SOON. I am trying to find a cool activity that revolves around President's day. And we are just finishing up measurement and this would be such a fun idea. Do you have a template? This is SUCH a fabulous idea! I'm featuring it today in my Sharing Saturday post--let me know if that's a problem! What a great picture of Abe! Do you have a template that you used? If you are sharing, I would love a copy of the Abe Lincoln template! What a cute idea! Could I have the template for this too? LOVE this! Are you sharing the template?? I would love to use it! I too would love a template of the Abraham Lincoln picture if you don't mind sharing. I'd greatly appreciate it! I would love to have a template also! This is great! Could I please have the template too? Thanks! Do you have a template for this? What materials did you use to make him? I love it! Thanks! "The law of attraction is the name given to the belief that "like attracts like" and that by focusing on positive or negative thoughts, one can bring about positive or negative results. This belief is based upon the idea that people and their thoughts are both made from pure energy, and the belief that like energy attracts like energy. One example used by a proponent of the law of attraction is that if a person opened an envelope expecting to see a bill, then the law of attraction would "confirm" those thoughts and contain a bill when opened. A person who decided to instead expect a check might, under the same law, find a check instead of a bill. Although there are some cases where positive or negative attitudes can produce corresponding results (principally the placebo and nocebo effects), there is no scientific basis to the law of attraction." Thanks and please keep sharing these creative ideas! I just pinned it and am getting ready to follow you from my blog! This is great! Can I please have the template too? LOVE this!!! Would love a template if you're sharing! Do you have a template for this? Please feel free to email to at vcordt@usd458.org if you do! If you have a template I would love it. I would love the template if you are sharing! I would love a template or dementions too. Pamela.riley@bgreen.kyschools.us. Thanks! I love this activity and would so enjoy this with my students. If you able to share the template or dimensions, I would be grateful. parked@bay.k12.fl.us Thanks so much! I would like to join the group asking for a template of Abe as well. Don't know if you already responded or not. If you are sharing the template please share with me. Could you send me the template? Thanks! Awesome Idea!!! Could I please have the template? Brilliant? Might I have your template and use it for my classroom? Thanks! What an awesome idea for Lincoln. We will be doing a unit on him for his birthday this month. I would love for you to send me the template if you are still sharing it. Yes, indeed...I'd love a template for Abe if you have one to share. I love it! If you have the template, would you mind sharing? Thanks! Great for non standard measuring!! I'd love a template of Abe, if you have one! Thank you! I would love a copy of the Abe template. It is great for 2nd grade! Thanks! We are studying the civil war this year in our class...I'd LOVE to make this. Are you sending the template to interested teachers? I would really appreciate it! StephenJanel19@yahoo.com Thanks so much! This is great! I, too, would love a template! Love this! I too would love a template of this if you have one! My email is melpisk@gmail.com! I would love a template of this if you are still sharing. My email is Martha.campbell@conecuhk12.com. I would love a template too please! I'd love a copy as well, please! I checked on your TpT but didn't find it. 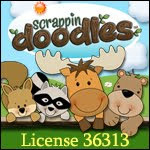 Visit doodle bugs's profile on Pinterest.